I'm madhu. I got an overall band 8. I was initially nervous to take up IELTS thinking that i would end up scoring lower bands. But it was a great experience. The interviewer for the speaking test was an old gentleman who listened patiently to whatever i have to say. I did not practice anything for the speaking test. The topic given to me was "The Furniture you have at your home". I didn't give him details on what material the furniture was made of or anything since the test was just to assess how you present your ideas. The test went on for 10 mins and i was asked to leave. The next day was the big day for me. I started my listening test. One very important thing to be remembered while doing the listening test is keenly listen to the sound clip and write all your answers in full form. Do not use short forms for months or any other words (eg: do not write Dec 21, please write December 21st). For the reading test I found it a bit difficult since i took the academic module. In this section you have 3 passages altogether. The second passage is given and you are asked to match the passage number with appropriate headings. This is something which you have to concentrate on. Please practice as many tests as possible before you go for the test. You are supposed to match the MOST appropriate heading. Writing is an important section since it depends on your style and how well you are able to convey your opinion and how effectively you justify your opinion. All the best people....Wishing you great success in future. Thanks for your comments Madhu. 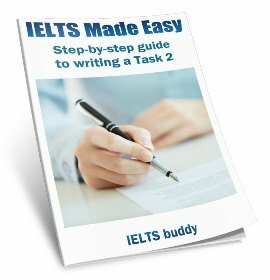 You have given some useful test tips to help people with the IELTS exam. I just want to ask if it's your first time to take the exam and got the band 8? Because, i know a lot of people tried many times before they can achieve the band score they want. If you nailed it the first time well, it's really good! Congratulations! Btw, thanks for your advice. I will sit on my IELTs on December 1st. Initially congratulation's Madhu and i must say thank to u for this helpful information. Congratulations! I got my results yesterday and happy to announce I got a Band 8 too. 8.5 each in writing, speaking, and listening; and 6.5 in reading. The last score bummed me - that was in fact the best section for me. 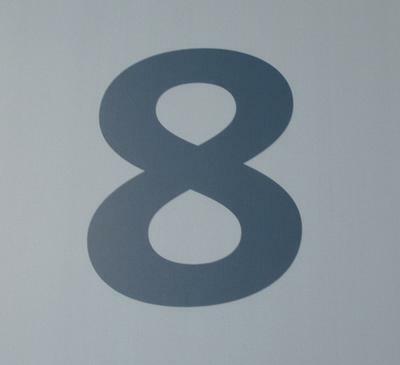 Anyhow, 8 is cool. Suits my requirements. 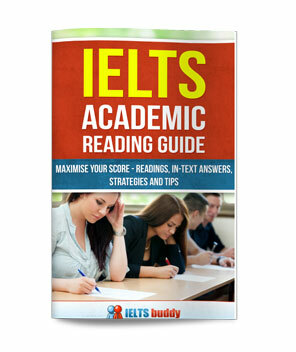 It contained a good information regarding IELTS test tips and speaking skills. It is all down to practice..more practice..and even more practice. I used to speak to myself in the bathroom so much my wife was scared i was going crazy lol. Meanwhile...my result was picked for quality assurance reassessment what ever that means. i got the results today. For listening I solved Cambridge ielts tests which are easily available on YouTube. In reading, the passage 1 is the easiest and 3 is the toughest. Try to finished para 1 in 15 min. time so that u have ample time for para 3, which is lengthy. Get ur ideas clear about false / not given. For writing, practise essays and get it corrected from someone whose English is better than urs. There are so many apps for learning new words. Try to get relevant and simple phrases into essays. Keep the essay limited to 4 paragraphs. Introduction in 3-5 sentences(50 words), 2nd para either for/against the argument(100 words), 3rd par for/against (100 words), and a good conclusion in 50 words. In writing, read the question carefully and complete all the tasks asked from you. For speaking don't try any accents, speak as if ur conversing with ur friends. Try to pick up good sentences from movies, news, commentaries/ documentaries. Practise, so that u know ur weaker and strong areas. Hope this helps....all the best. I have attempted IELTS twice, as was targeting 7 each in all modules. Both times I missed out on either writing or speaking by half mark. however the over all score is 7.5. Last time I scored 6.5 in Speaking and 7 in writing, this time I scored 7.5 in Speaking and 6.5 in writing. Don't know what do I do to get 7 in each module, can some one suggest some strategy. please brothers help me to get 8 bands in IELTS, my confident get boosted whenever i hear someone got 7, 8 or above. but i have some problem with my memory i always forget things. this is the main drawback in my IELTS preparation. please help me and share with me the details of websites where i can learn English and IELTS. also share with me some materials for English & IELTS. Thanks to those who even try to help me and a big thanks to those who help me thanks in advance. I just got my results today. 8.5 average on my first attempt. 8.5 for both speaking and listening. 8 for both writing and reading. Honestly, I only did one practice for the listening and reading components. I would advice to just calm yourself and not be nervous. Nerves penalise 30% of your potential. Just be yourself and do your best for each component. Also, pray hard after! Recently took IELTS academic and got a score which surprised me. I needed the test for my citizenship application and the score they required was around 6 or so. I didn't have time to prepare at all because I had many other exams and literally went to the test without even knowing much about the format, hoping I will manage the required 6 somehow. So my advice for those who didn't achieve the band they wanted, it's worth the remark if you are confident in your fluency. You'll get the money refunded (RM560 in my case) if there is a change of score. This website has all the information one needs to prepare for IELTS. I got IELTS band 8.5 in recent IELTS test. I seriously recommend you pay careful attention during the listening and reading comprehension phases. Pay attention while you listen and don't focus on the passage as the tape plays. I am certain that my scores are higher, and I will be asked them to recheck my papers. If I score less, it will not matter. The institution I am applying at needs a score of 7 or higher and I scored 8. I didn't practice much for the test, because I had no time. I only practiced the night before. During the speaking test, if you feel like you cannot contribute to the topic explain why that's out of your league of understanding. That's still scored. Very good and motivated techniques.I really appriciate you. I never take an IELTS exam before, but I have been practicing for 2 months now. Whenever I take a mock test at my extra class, I just got 7.0 for both Reading and Listening. I know that Writing and Speaking is my weakness, so I want to get 8.5 for both Reading and Listening. Pls give me some tips, in details :< Do not tell me to practice bcos I do it everyday. I am always get confused at Head matching and True/False/Not Given. Pls tell me how to get it correctly. I just received my score and had a Band 8 overall. I was thinking I would score higher on the speaking session. But I couldn't speak for 1-2 minutes on a topic. Didn't have that much to say. Ps. I only studied once. I got band score of 7 in speaking, listening, writing & reading in one week practice through ielts buddy. The materials are awesome and very helpful. Before start the 2min speaking test, you will know the topic and have some time for preparation. My advice is to think about some related topic, so if you get out of issues, you have another line to explore. Despite they say you should speak beetween 1.5 and 2 minutes, they expect you speak for at least 2 minutes, so do not mind about being interrupted, keep talking and make sure you cover all topics within the minimum 2 minutes. It was my first time of taking the test and I did watch a few youtube videos especially on writing as it was my weak point. I was disappointed with my writing but I must say watching those videos made a huge difference. Focus on the main trends in task 1 and use as plain english as you can and edit with synonyms later. For task 2 you should write as fast as you can as simply as you can. Paraphrase after you are done (use a pencil in the exam). Have enough water in the test. For reading skim and scan. I got distracted in listening and didn't answer a few questions so I ended up guessing. The trick is to move onto the next question whenever the recording leaves you behind. No one has given practical tips, everyone is trying to behave like a professor here. All the tips have been given already. No body bothers to give his personal experiences like what problems they faced or how they tackle tricky questions..
Hi, I had got 7 in total (reading 7, listening 7, writing and speaking - 6.5), 5 and half years back. I was in INDIA that time. In NZ from past 5 years. Now want to get 7 in each component, in order to study further. So basically everyone wants to score an 8 but its really not that hard if you have good basics in English. That being said, i managed to get an 8 (L8.5, R7.5, W7.0, S8.0). The reading part will be the trickiest cause in some cases the vocab is hard and you tend to waste a lot of time solving it, but keep in mind there's a clock ticking and those examiners are gonna grab your papers as soon as the time is up, so if you're stuck in a particular para, skip it and move on. Time management is the key in reading and if you master it you could have a few extra mins to even recheck your answers which is always good but not possible mostly. There will be one tricky para and that's for sure. So be prepared. Practice online, download material, keep a timer and solve them. Improve on your mistakes and keep practicing until your confident that you can score a 8 on any article in the reading section. Oh and ielts is way wayyyy easier then toefl, cause I've taken both and scored a 89 in toefl. So u can see the level of toughness. I aced the speaking section, could be cause i have good command over the language but i feel its more about logical reasoning as well, so when asked a question think carefully and answer, remember you don't have to use jargon words but simple and effective English and keeping it simple is hard for many people but trust me if you do you will get a good score. As for listening, it's the easiest. Just be sure to focus your entire concentration on that sound clip during the exam. Don't bother to look at your partners next to you, the examiners moving around you except the clock. If you get distracted your gonna miss out on an answer and its gonna cost you, furthermore u might panic that you've missed an answer and miss a few more. So concentrate on the audio clips and be sure to have gone through the question in the few extra mins you have before the clip is played, it helped me. Now for the part everyone hates, writing. 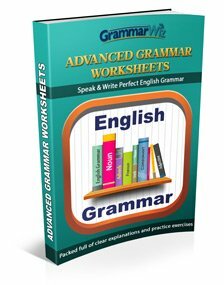 It's all about your vocab and grammar, but if ur finding it hard just keep it simple, no complex terms again, just use logical reasoning and answer the question, no extra BS. So before the exam it's gonna be a very tense atmosphere and your gonna be like damn look at that dude i bet he's good at English, don't do that, believe in yourself, keep calm and concentrate on your exam, you've paid a lot of money for it, you've prepared, you will do well. If you're still not confident about scoring well, keep practicing. There's nothing that can't be mastered with a lot of practice. P.S forgive my language here, typing on my phone is never easy and i make mistakes. Thanks Neri for giving us tips and motivation. I was crying before I read your post. Today I just scored 28 in reading while practicing. My test is on 20 Aug. I am so tense. Now I'm going to take IELTS exam, but my result is not good especially reading and writing. IF you will help me with this problems. THANKS!!! CAN you take from me online test? I recently had my ielts but I scored 6 only. I need 7. Please help me to score more. Suggest good sites to score more than 7. My writing score is pretty low and now that I'm applying for UCAS I'm worried that it might hold me back. UCL asks for 7.0 minimum in each criteria and King's wants 6.5 if I'm not mistaken. I think writing is considered as the most influential among the four and I regret not trying harder to achieve a higher mark. I have a very huge problem with reading please give me a solution. First attempt and no coaching. 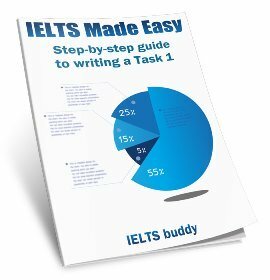 Thank you very much ielts buddy for giving these kinds of stuff to help ielts exam candidates, this is a very useful site and easy to use too. I'm still following an ielts class and self studying these days. I'm planning to sit for the exam in March or April. I'm trying to do this by my best and again thanks for your great help. I'll sit for the exam and once I get my results I will post. And also all the best for all the exam candidates! Hey guys I'm in very much stress because I didn't got bands in reading. Please tell me tips so that I can improve my mistakes 😿. Actually i really need any kind of postulation as to reading as well as listening ! hope your tips will help me and others too. A guy who went through both academic and general examination. Hey guys. I took the IELTS examination twice. The first time was an academic test which i got a 7.5 overall with every score above 7 or equal. The second time i took the general examination and got an overall of 8 with all above 8 except for a 7 in writing. I got some advice for those of you who are unaware of the IELTS system. Firstly, listening is generally easy. All you need is a good listening skill and an average knowledge of English language. For listening practices, i suggest movies without subtitles. It improves your focus on the topics and allows you to develop your sense of hearing. For reading, Always remember that you won't have time to read the entire paragraphs. Try to find the answer instead of reading everything and figuring the answer from it. If you do manage to finish before the time runs out, you may return to the questions and try to make sure of your answers. For this particular part, practice makes perfect. For writing, it's a bit tricky. While it is considered to be a topic that you may write whatever you want, there are certain factors that are essential. Firstly, No misspelling. Try to write the words correctly. Grammatical errors are also a big problem for most of the people. Also, try to write in a more formal matter. Use more advanced words but do not try to over-complicate things as that will lead to a negative influence. Always try to cover everything that the topic requires from you and it is a really good improvement to your topic if you put some examples from your own experience. They do not want your opinions in the topic unless asked. So try not to be biased towards a certain criteria. Be fair and be informative. But you may explain your own ideas and thoughts on the matter as well. However, not in the body of the writing. And for speaking, The best thing you can do is practice. Talk with people and listen. It improves both your speaking and listening skills. Try to answer as complete as possible. Do not fear that it's too much. What they want to hear is you talking fluently and comfortably as if you're actually are completely fluent in English. Hello friends, I am a new student. I have just started my IELTS and I want to get 8 bands. I took IELTS academic test on February it was my first attempt. I wanted a band 8 however I scored 6.5. It was great despair to me but it reminds me the old saying "when we succeed we party, when we fail we learn from it." I am planning to sit another time with my utmost preparation. I hope I will score the band I am looking for. Hi, from which institute you had IELTS training? Can anyone advice me about the writing and how to prepare for it in a short time? Congratulations Madhu for your score. My score when I gave IELTS last was 7.5 overall. Listening - 7, Speaking 7, Writing - 6.5, Reading 5.5. I am due to give my IELTS now and this time, I have to score 8 in each band. I am wondering how well will I be able to give IELTS this time. I feel like I'm pretty good at listening and reading, and a bit more than average in speaking (good at speaking but ideas don't generate properly). But what I fear the most is writing, can anyone please suggest me some tips and idea generation in writing? Don't get scared my previous writing result in in exam I sat for two years ago was 7 in writing. This time around my punctuations were bad as I was in panic fearing that I was running out of time. FOCUS ON PUNCTUATIOS GUYS!!! my other mistake is I forgot to throw in some (complex structures) and my handwriting was awful. Apart from that my essay was colourful and my vocabs were fairly wide. My requirement was 6.5 as an overall result. If you do that next time around your band scores will Definitely be increased. A third mistake is concerning my writing band score is that I spent most of the time in task 2 I began with that one and I spent 45 minutes. When I came to task 1 the one that is based on a picture or a diagram I was in Panic and I didn't know how to deal with it so instead I tried to write as many words as I can racing against time. Time management is a key here when it comes to the writing section. Relating to converting a diagram into a short essay. Don't just focus on task 2. Task one is equally important, practice in this one as well. My test result has just been published and would really love to hear your feedback on whether I should reappear or not. A lot of my friends are suggesting that I should take the test again with preparation to improve the scores in listening. Well? One of the reasons behind a poor score in listening was due to lack of practice and I was suffering from severe cold. Will it be a wise decision? Given I cannot take leave from work and have extensive field visits.